Ariana is the perfect slots game for both new and seasoned players for the Canadians. Ariana online slots are also an extremely relaxing and enjoyable way to pass the time. The name Ariana has a number of different meanings ranging from the geographical area in Central Area or ‘holy’ and ‘silver’. Arian herself is a beautiful silvery mermaid who can suddenly spread herself out all over the slots and provide you with some incredible wins. Ariana slot from Microgaming is one of few casino games inspired by the deep sea and all the beautiful creatures that live there. The game is based on a fantasy story about the mermaid princess and her adventures. You will be taken to an underwater world and Ariana’s kingdom where you get the chance to win some pretty rewarding hidden treasures and have hours of fun in this interesting and exciting gameplay. Ariana slots is a Microgaming slot game with 5 reels and 25 paylines. Bets range from 0.25 to 125 coins and there is a maximum jackpot of 30,000 coins. This slot game is going to fill your device of play with a beautiful blue, underwater screen that makes you feel as if you are truly in the deep ocean. The starfish, golden boxes of treasure and colourful seaweed join glittering Ariana on the reels. The classic 10, J, Q, K and A icons have also taken up residence in the deep blue sea. Then there’s the free spins feature which is triggered as soon as you land three or more starfish scatter symbols anywhere on the reels. 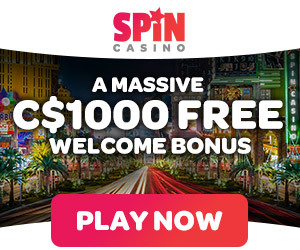 15 free spins are awarded and can be retriggered should you get three scatters during the feature itself. There are four high value symbols of which the starfish is the highest paying. The Ariana logo is wild and substitutes for all symbols except the scatter. In the free spins game, when landing a matching stack of symbols as part of a winning combination on reel one, then all matching high-value symbols AND wilds on the other four reels will expand to give you potentially huge wins. Betting is flexible, and can be done with up to seven coins: 0.01; 0.02; 0.05; 0.10; 0.20; 0.25 and 0.50. The slot pays up to 30 000, and if you place a maximum bet you can win a generous 60 000 coins during the free spins feature. The Ariana game is a standard online slot with standard slot symbols so even players with very little experience will easily get the hang of it. The latest in a long line of quality Canadian online games, Ariana is a straightforward slot game with a smooth game play and a wonderfully generous jackpot.